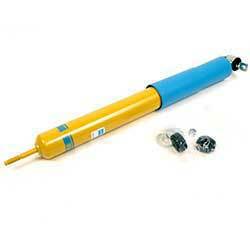 Bilstein has been a manufacturer of shocks and suspension components since the 50's. Today, Bilstein is the world leader in the development and innovation of suspension products, includings a huge line of shocks, struts, coil springs, lift kits, steeringstabilizers, bushings, and more. Bilstein delivers improved ride quality, comfort, and handling on the road and the track.